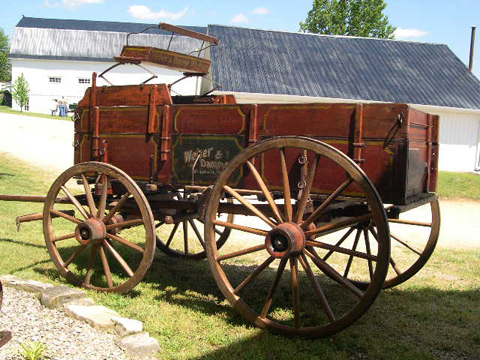 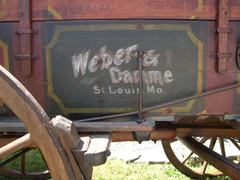 Established in 1861, Weber & Damme is just one of the legendary wagon makers that were located in the city known as the “Gateway to the West.” The St. Louis maker competed head-to-head with other prominent brands like Joseph Murphy and Louis Espenschied. 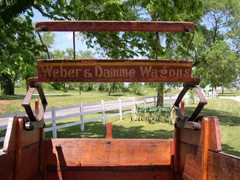 Standing as a testimony to the “Show-Me” state, this high wheel Weber & Damme is still located in Missouri. 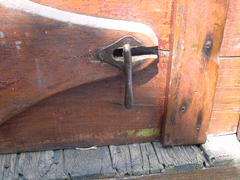 It features several unique construction traits and still retains a significant amount of original paint. 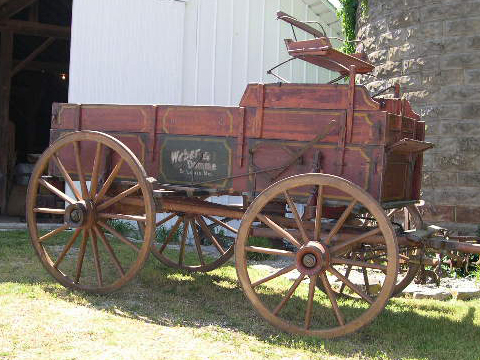 Up front, the doubletree includes a set of springs to help absorb the shock of rough terrain and load shifts. 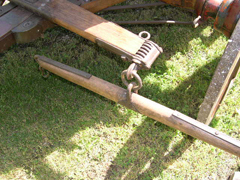 The idea was to help relieve the extra stresses that horses often took when pulling a load. 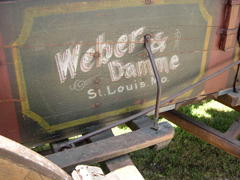 The original lazy back seat of this Weber & Damme sits on a set of risers that are typically referred to as St. Louis seat risers. 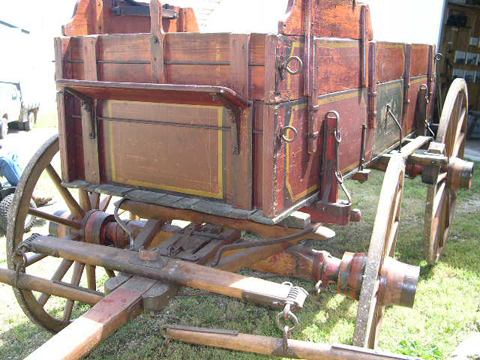 Further back, the brake system is mounted to the bottom of the bed and is known as a box brake.